Citi Services - Chennai Since our commencement in the year 1999, we, “Citi Services”, are recognized in the industry as one of the illustrious organizations, engrossed in supplying, trading, distributing and retailing a comprehensive range of Industrial and Commercial Products. 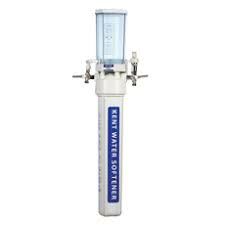 The product-line offered by us encompasses 3M whole house water purifiers, Kent water purifier, Livpure water purifier, Commercial dishwasher and Commercial Washing Machine Price in Chennai. For these products, we are rendering our customers installation services. The products offered by are known for their features like robust construction, high performance, low power consumption, minimal maintenance and longer service life. Owing to these features, our offered products are demanded across the nationwide market. We are backed by a vast vendor-base, which enables us to cater to the varied demands of customers in an efficient manner. These vendors are selected by our team of procuring agents on the basis of their financial stability, infrastructure facility, market reputation and team of professionals. Our vendors manufacture the entire range in accordance with the guidelines laid in the industry to attain highest benchmarks of quality. Also, we have a spacious warehouse facility, which enables us to store these products systematically. It is connected to different transportation modes that help us to dispatch our range in committed time-period to the customers’ premises. Under the guidance of our mentor, ‘Mr. Karthikeyan Ramamoorthy’, we have established a formidable position across the nation. Owing to his vast industry knowledge and experience, we have been able to rise from leaps and bounds.